I can’t tell you the number of times I’ve strapped on my skates, stretched my legs, and hit supersonic speeds by the time I’ve gotten as far as 6th Avenue. Good thing the boffins at Flyke have been looking out for me. She cannae take much more, captain! This entry was posted in Uncategorized on November 1, 2014 by stern. 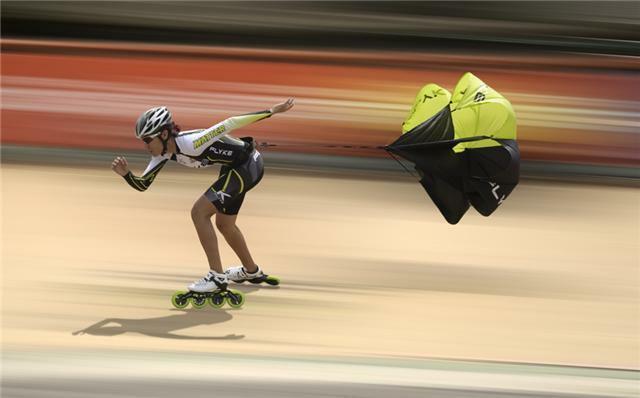 I love the idea of being able to skate backwards with the kite. I was never very good at that.